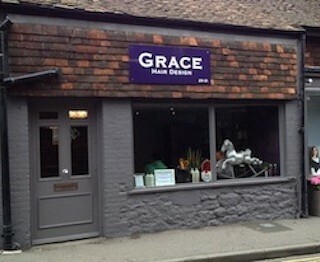 Grace is Westerham’s exclusive Aveda boutique hair salon. As well as stocking the gorgeous 97% naturally derived Aveda products, we also use their totally bespoke luxury hair colour system. 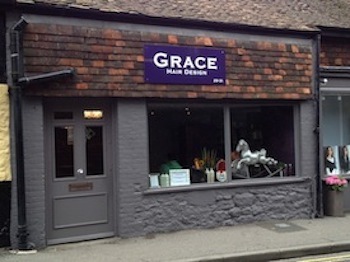 We pride ourselves on our tailor-made service, everything we do at Grace Hair Design is personalised. 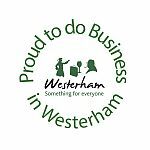 We approach each guest with new eyes, listening to your individual requirements and needs. Our vintage Hollywood look will reach all your senses. When you walk in, the soft light from our chandelier and deco wallpaper will take you back in time to the days of Grace Kelly. You’ll notice the soft aroma of our indulgence candle range burning a selection of scents by ‘True Grace’. After your consultation with Vardy or Mary you’ll be whisked away to our peaceful basin area for your relaxing shampoo and head massage, listening to the likes of Frank Sinatra and the Rat Pack playing in the background all while laying back in our comfortable reclining armchairs. Once you’ve been pampered and revitalised you’ll be brought your freshly ground coffee and tasty home baked treat to enjoy, now you’ll finally be ready for your personalised service to begin.